TWO family-run nurseries have been named as the best in Bristol by a leading national day nursery guide. The Mama Bear’s Day Nursery & Pre-Schools in Crews Hole and Fishponds have topped the list of Bristol nurseries compiled by DayNurseries.co.uk, with joint near-perfect scores of 9.8 (maximum is 10). The settings have been named as recommended nurseries in the city based on reviews from parents, relatives and guardians of children who attend as well as on Ofsted results. Other Mama Bear’s nurseries named by the guide include the nurseries in Clifton, Whiteladies Road, Brislington, Hengrove, Totterdown and Shirehampton. 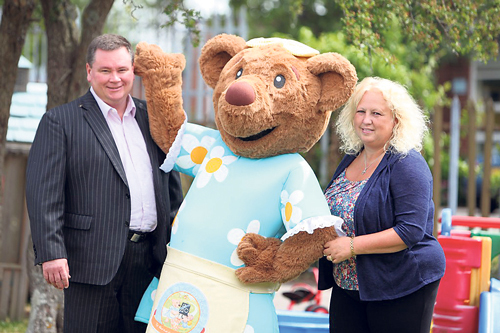 Mama Bear’s is a family-run group with 22 nurseries across the South West, including two in Downend. Owner Bev Driffield said: “We are extremely proud to be top of the list of nurseries in Bristol, especially on such a prestigious nursery guide, which is trusted by parents. “We work really hard to ensure we provide the highest standards of care and early years education at all of our settings across the South West and achievements like this shows that we are doing something right. The majority of parents who reviewed the nursery said the provision was excellent and they would be extremely likely to recommend the setting to other parents. Mama Bear’s caters for children between the ages of three months and five years and is open Monday-Friday from 7.30am until 7pm.